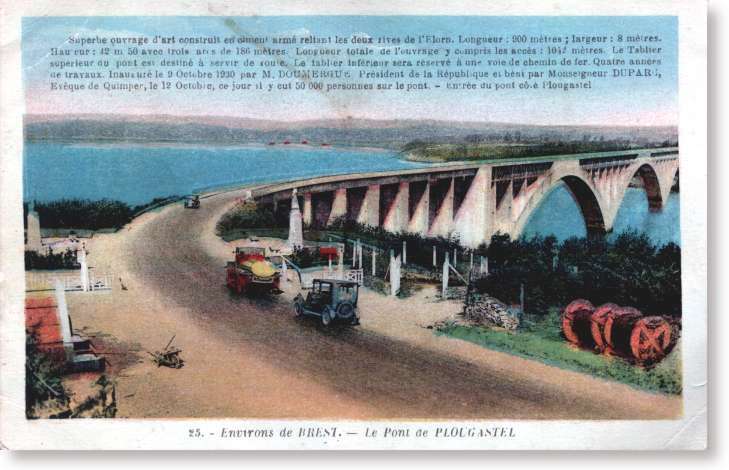 View of the left riverbank (Plougastel Peninsula side) Brest stands at the end of the cove . One can see it on the left side of the bridge. 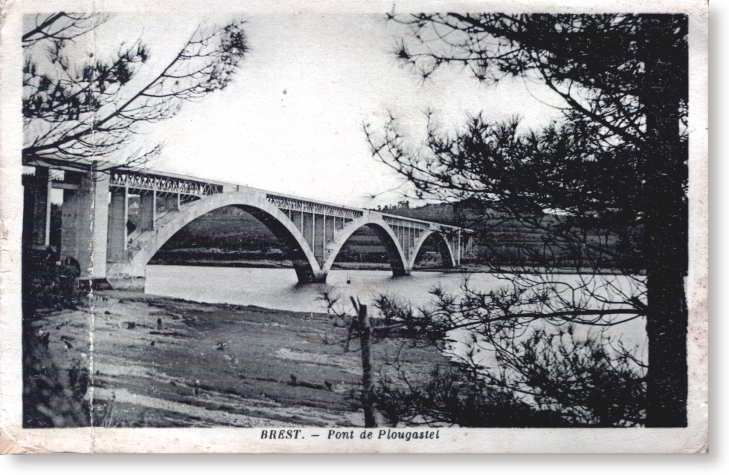 Right river bank (Brest side towards Plougastel - Road towards Quimper) The first arch of the bridge was destroyed by the German army in August 1944. 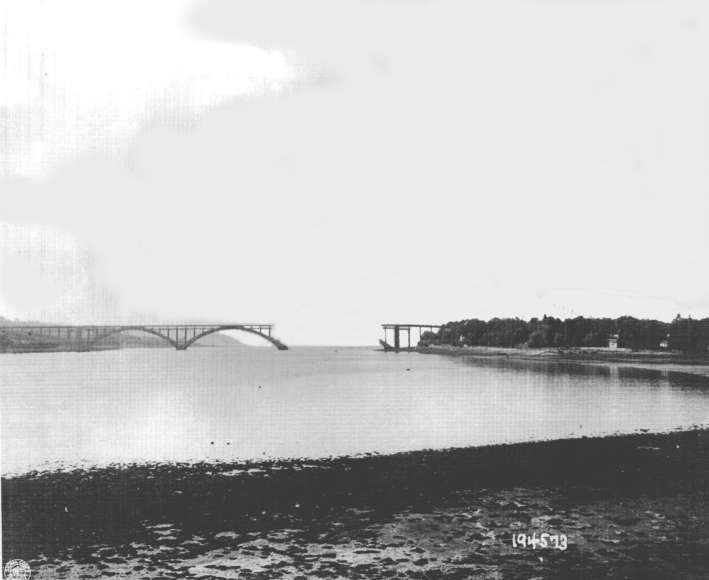 The bridge in September 1944. Germans resorted about 20 tons of dynamite to destroy it.